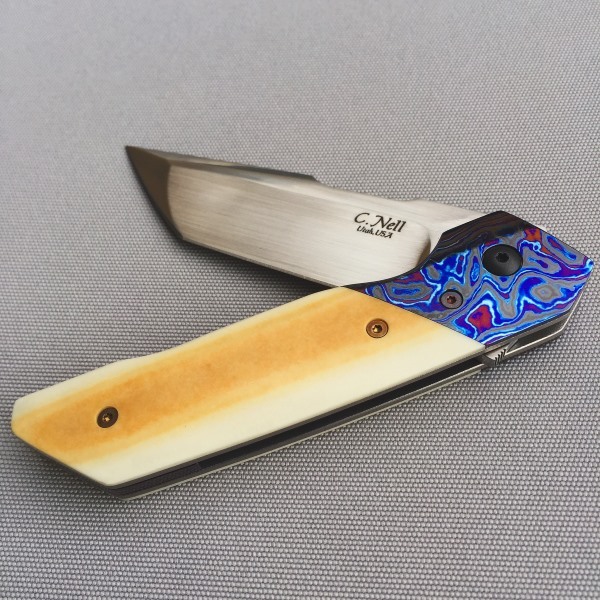 Our Hardline Folder Custom Knife is an exciting addition to our Nell Knives for 2018. 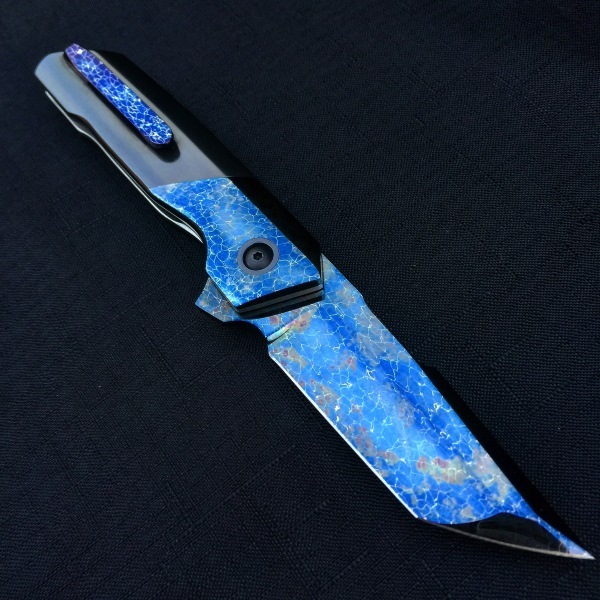 Hardline with Nebula Damascus Blade and Zirconium Scales. The Blade Length on this new model is 3.5". 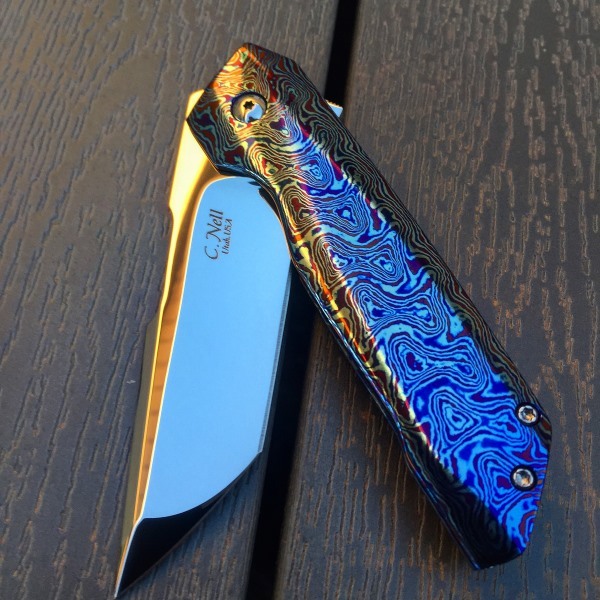 As in all Nell Knives, the materials used can be custom selected. The exciting look of this new design is the reason it has become such a popular request.